Here’s the second recipe from a good friend of mine. She found it here, and then made a couple adjustments. 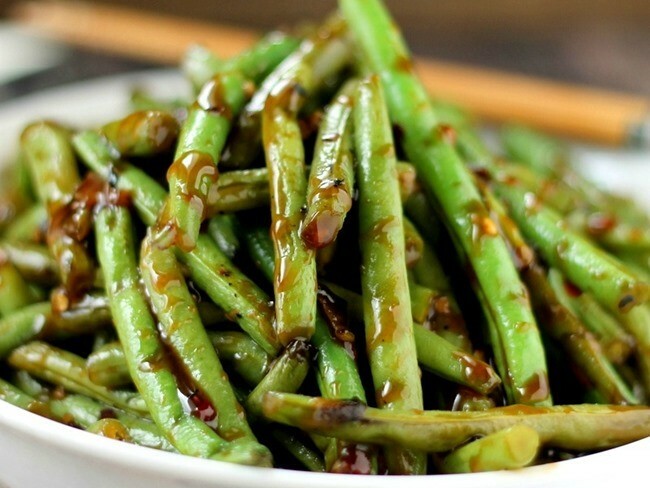 I’m sharing her version of PF Chang’s Green Beans. It makes a wonderful side dish. As a quick, easy and cheap meal, I’d suggest pairing with some brown rice and diced firm tofu. In a small bowl mix together soy sauce, rice vinegar, water, salt, and pepper; set aside. In a wok or large skillet, add oil; let heat over medium high heat for 30 seconds. Add garlic, green onions, and 1 tsp red pepper flakes. Stir fry quickly, for about 30 seconds. Add green beans and stir constantly until they are almost fully cooked, about 3 minutes (should turn deep green). Pour sauce into pan, stir, cook for 1 more minute.